Eric Liberatore grew up in Connecticut, and played for New Fairfield High School and Trinity Pawling Prep. During his senior year, he was named All Conference Midfielder. As a freshman, he was part of the State Semi- finalist team in 1995. Liberatore attended New England College located in Henniker, NH participating in the NCAA DIII New England Collegiate Conference. While at New England College, he appeared in two NCAA Tournaments, won 2 Conference Titles, and was named All Conference Player at Long Stick Midfielder. Liberatore moved to Austin, Texas in 2010. Since relocating to Texas, he has served as Head Coach/Asst. Coach with area high schools and helped with the development of their lacrosse programs over the past 8 years. He has sent dozens of players to top NCAA and MCLA programs. Most recently, Liberatore was the Program Director for the West Austin Youth Lacrosse program, which serves as a feeder program into the Austin High School boys lacrosse program. In 2016, Liberatore became a Level 3 certified high school official. “Officiating the past three season’s has given me a look at the game very differently and helped me develop a greater knowledge of the game”, says Liberatore. Liberatore was selected after a nationwide search consisting of candidates from several states across the country. 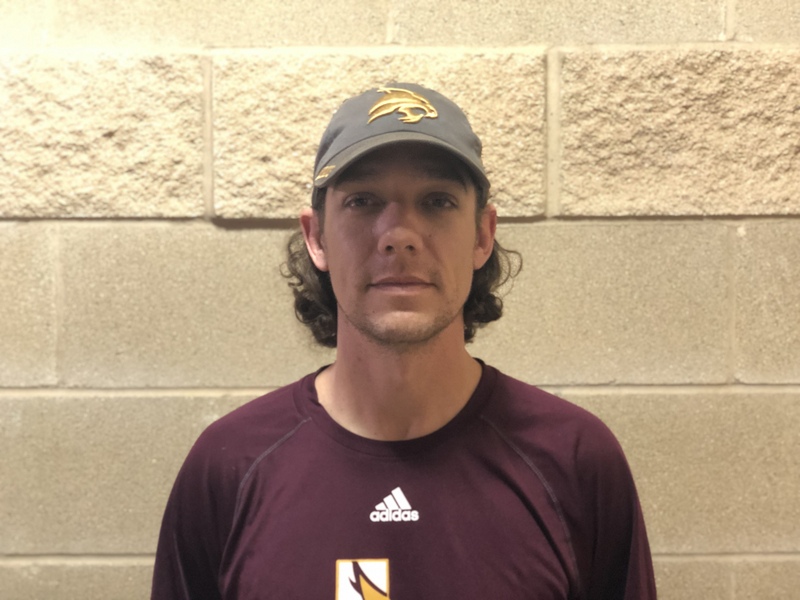 “We are very excited to begin our 2019 season with an experienced coach who looks to rebuild our program with a goal of getting us back to a Championship,” said Texas State team president, Skylar Whinery. “I would like to thank the Texas State lacrosse officer team and hiring committee for this opportunity to coach this team that has a talented group of athletes,” said Liberatore. I am excited to get started building a program that attracts the best and brightest young men, giving them a great college experience while continuing to enjoy the game of lacrosse at a competitive level.” Liberatore and his wife, Maegan along their two dogs, live in South Austin.